Contrary to conventional solutions, string protection is achieved outside the control cabinet. This change reduces the thermal stress inside the connection box, since it allows the fuses mounted on the outside to release their waste heat into the environment. The in-line fuse and all other components in the string combiner box, such as the circuit breaker, surge protection, and monitoring system, are exposed to lower operating temperatures. Over the long term, this means better performance and longer service life for the entire system. It also allows operation at higher ambient temperatures. Moving the fuses to the outside makes the design of the new connection boxes significantly smaller. The lower volume reduces transportation and storage costs. 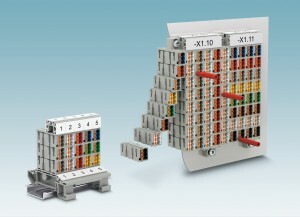 The string combiner box’s light weight means that a single person can install it. Ursula Lampmann, partner of Phoenix Contact, died on Friday, 26 June 2015, at the age of 94 years in Blomberg. 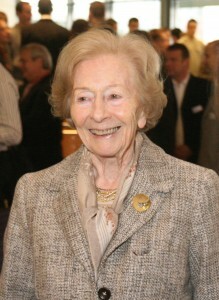 Born in Essen, she joined the company in 1937 and headed the commercial areas as partner of Phoenix Contact for more than five decades. Above all, with her far-sighted handling of the finances she played a crucial role in the successful growth of the company, from small beginnings to global player in the industry. With her kind and open-minded personality and her appreciative manner she shaped the corporate culture and spirit of Phoenix Contact. She retired in 1995. As requested by the deceased, the funeral took place in the narrowest family circle. Security is becoming increasingly important in the process engineering industry. With the new MGuard security router, Phoenix Contact is addressing this trend. The security router meets the demanding hardware requirements of the process industry as well as the strict IT requirements for security products. Hardware features include an extended temperature range of -40 to +70 °C, IECEx and ATEX approvals for Ex Zones and corrosive gas testing in accordance with ISA-S71.04-1985 G3 Harsh Group A. From a software point of view, existing MGuard security functions were enhanced with additional security components for OPC Classic, a protocol widely used in the industry. These include DPI (deep package inspection) and NAT (network address translation) functions. DPI allows for a high-quality OPC Classic firewall in the production facility, whereas NAT provides the option of integrating plants with identical IP addresses into a higher-level production network quickly, easily, and without address conflicts. The new push-in PTMC marshalling patchboards from Phoenix Contact achieve up to 20 percent higher packing density with marshalling wiring in process technology, thanks to the modular concept and the compact design. The individual marshalling patchboard elements snap into place easily and securely and can also be coded using eleven different colors. This ensures clearly arranged and fault-free wiring. The precise number of positions and the blocked form design, ideal for various applications, create a stable patchboard construction that is resistant to warping. The 2.3 mm test connections are easily accessible, next to the connection points, enabling convenient testing with standard testing accessories. The pre-assembled marshalling patchboards are available with four or six push-in connections per element in 32, 48 and 80-pos. designs. In terms of mounting type, there is a choice of direct, 19″ rack and DIN rail mounting. The PTRV marshalling terminal system is the most compact on the market with a length of just 100 mm. It offers additions options for easy and clearly arranged marshalling wiring. Its key features include freely selectable colors, easily accessible test connections, and large-surface matrix marking. The marshalling terminals and marshalling patchboards are designed for use in Ex i safety circuits up to 60 V and are available as blue versions. 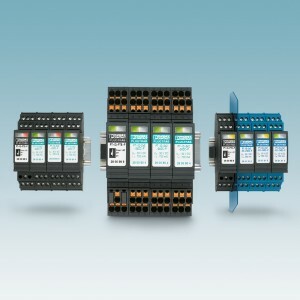 The marshalling patchboards, which can be self-assembled, are configured and ordered with just a click of the mouse in the product area on the phoenixcontact.net/products website. 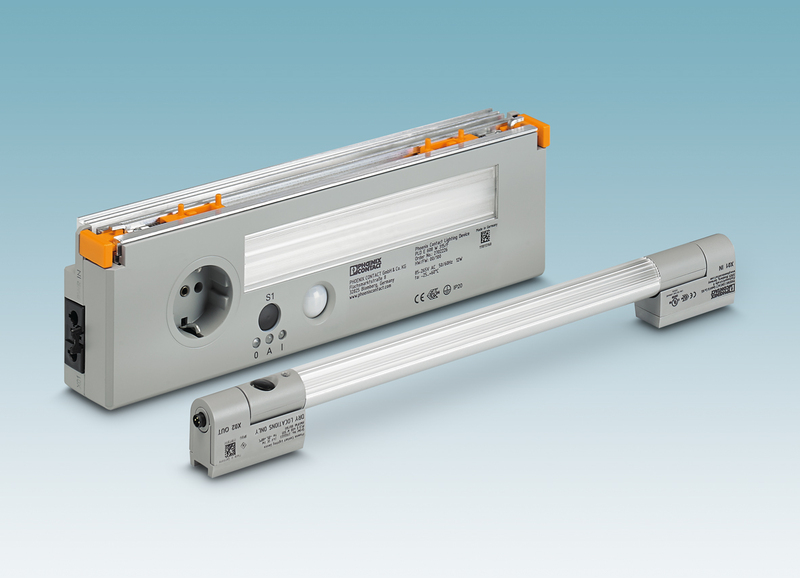 The new PSRmini safety modules from Phoenix Contact are the world’s slimmest safety relays with the power of a large safety relay. With their compact 6-mm width, they ensure high safety thanks to positively driven contacts. For users, these slim modules require up to 70 percent less space. A comprehensive package of tests and approvals ensures that the modules can also be flexibly used in applications and environments that exceed the norm. 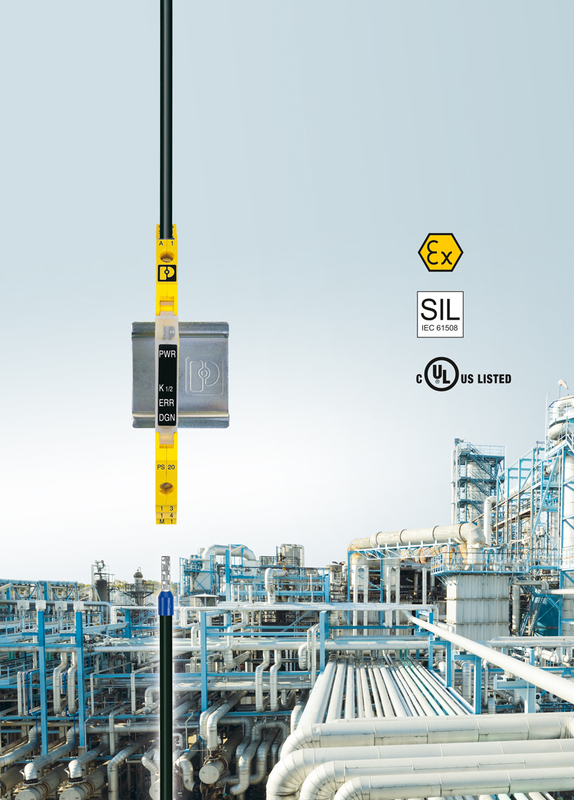 For example, the relays are G3-compliant according to ISA S71.04-1985 for use in especially corrosive atmospheres and are IECEx-certified, thereby facilitating the decentralized design of an application down to Ex Zone 2. Repeat tests in a process plant, which are prescribed by standards, can easily be performed visually and directly on the device. 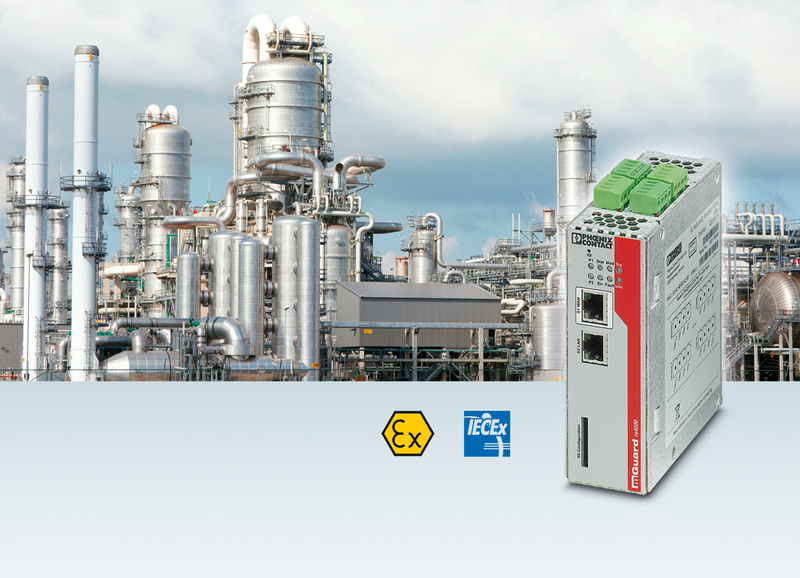 Complex manual measurements that are currently required when using standard relays that are not forcibly guided according to EN 50205 are therefore often unnecessary. In addition, in some common control systems, monitoring of the controls of the coupling module may be influenced in the event of an error, so that the repeat test, the so-called proof test, can be designed to be almost fully automated. This increases efficiency since downtime can be reduced without necessitating additional effort for required hardware or installation. 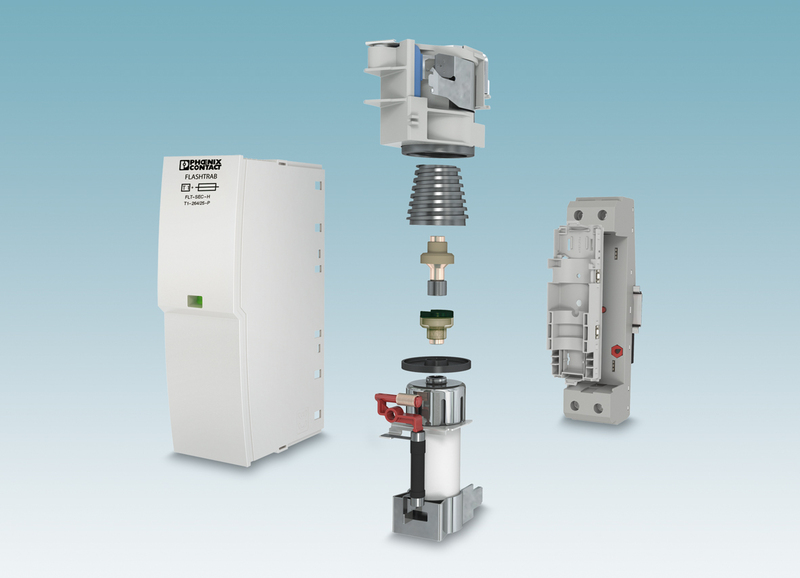 The compact design of the safety modules is made possible through Phoenix Contact’s newly developed relay technology. The design is based on a slim, powerful, and force-guided basic relay characterized by minimal space requirements, low energy consumption, and high system availability. Despite its compact width of just 6 mm, the component features the same performance as traditional EN 50205-compliant elementary relays with forced guidance. 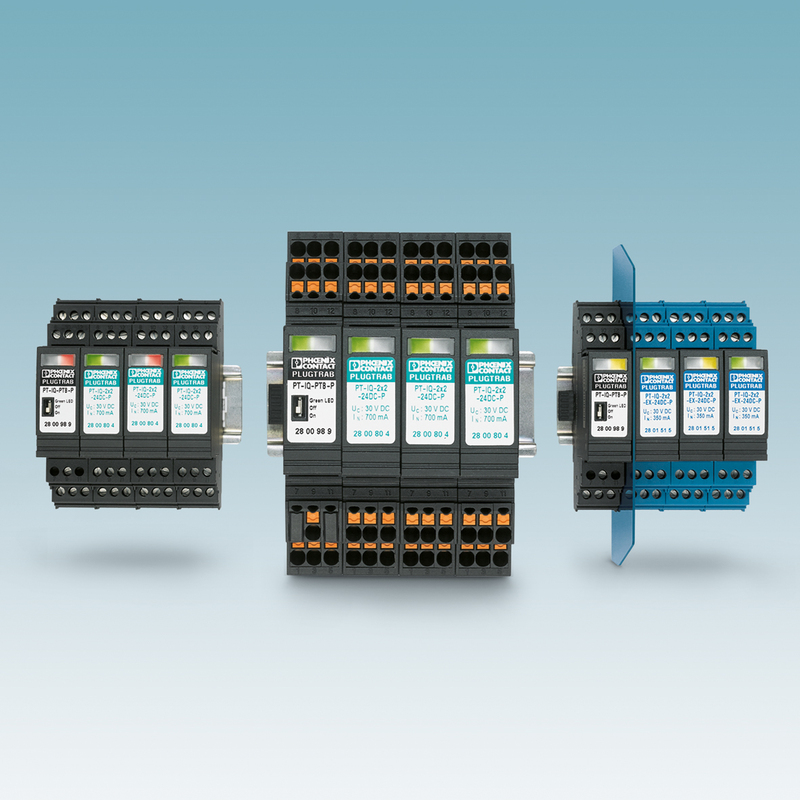 The elementary relay from Phoenix Contact consists of an NO and an NC contact and is suitable for a modular application configuration. To achieve the manufacturing precision required to meet Phoenix Contact’s high quality requirements, the elementary relay and all of its individual parts are manufactured entirely at Phoenix Contact. Since only the 6-mm modules require a single enabling contact, applications can be built with new and improved cost-effectiveness. 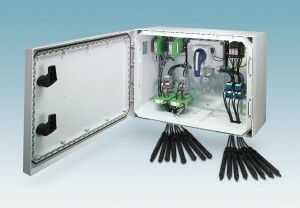 The termination carrier also provides the option of using system cabling solutions for quick, error-free commissioning and connection in the field. The complete PSRmini range of safety relays consists of 28 products for mechanical engineering and the process industry. 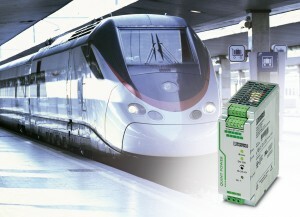 All DC/DC converters support Power Boost, which permanently supplies 1.25 times the nominal current. What’s more, the devices feature Selective Fuse Breaking Technology (SFB), which supplies six times the nominal current for 12 ms, thereby reliably tripping standard circuit breakers. Comprehensive diagnostics are provided through constant monitoring of the input and output voltage and output current. Preventive function monitoring visualizes critical operating states and reports them to the controller before errors can occur. 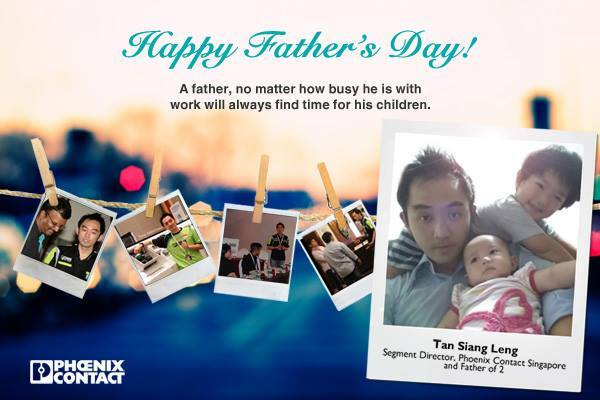 Phoenix Contact wishes all Fathers out there Happy Father’s Day! The lights are easy to install – no need for tools. The product range consists of two performance classes in addition to the cabling and mounting accessories. The class 600 lights have an AC wide range input and can be connected in series. They are switched on and off automatically via the integrated motion detector. A country-specific socket allows external devices to be operated even if the control cabinet is disconnected from the power supply.